I’ve noticed that Facebook likes a business page to slot into certain categories and sometimes they are not precisely the description you might choose. 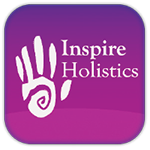 For example, the closest available description for Inspire Holistics is “Alternative and Holistic Health Service”. I have long resisted the term “Alternative Therapy” because as a holistic practitioner, I believe that we need to look at the WHOLE person – mind, body and soul and that there are many ways to treat a person including the treatments I offer alongside traditional medicine. I would never advocate giving up any prescription they have from a clinician. I describe the treatments I offer as complementary therapies. I like to think of Inspire Holistics as a Feel Good Factory where clients can pick and choose the treatments which best suit their needs. For some, this will mean choosing a Reiki treatment which aims to rebalance the energy centres to relax and re-energise. For others a fear or phobia or an unhelpful habit may be holding them back and they may find E.F.T. is the most useful tool they can learn to use to free them from their issue. For some people, they may feel that stress is showing in their physical appearance and they may wish to have the Natural Lift Facial Massage, an energy treatment which aims to relieve tension in the face, neck and head, to look rejuvenated. For other clients, stress and tension may build up in the muscles of the body and a Back, Neck and Shoulder massage, Indian Head Massage, Hand and Arm Massage or Bamboo Massage may be what they feel gives them the best relaxation. For clients who may not be able to decide which they prefer, they may book a Zen Fusion treatment which will incorporate some of whichever therapies may be beneficial on the day, for example some Reiki, some Crystal Therapy and or some Massage.